So Excited Registration for Spring 2019 is Open! We have some great news, registration for the 2019 spring leagues is open! Visit our online registration page to locate a program near you! Programs fill quickly, so we encourage you to register early to reserve a spot for your child. Registering early also allows you to save with our early registration pricing. The registration fee includes a volleyball, uniform t-shirt, and participation medal for each participant. USYVL programs offer boys and girls ages 7-15 a fun and safe environment to learn and play volleyball. Our spring league season provides a terrific opportunity for children to stay fit and active during the year. Additionally, our spring league provides a positive environment to make friends and learn the value of teamwork. This is also a terrific opportunity for parents and family members to volunteer at our spring program sites. Come get involved in your local community and be a hero to your child. 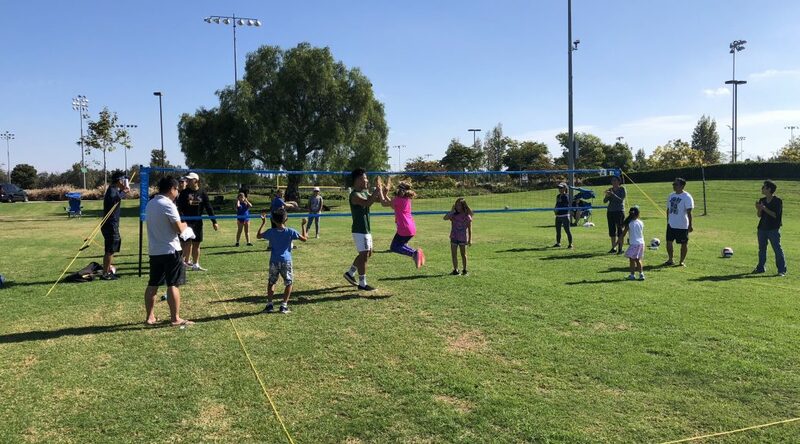 Our programs rely on a robust volunteer effort to keep league activities fun and engaging for the entire family. Join the fun and make a difference! For questions and additional information give us a call at 1-888-988-7985.